Briget is passionate about sharing her love of music with students of all levels. She teaches vocal technique and beginning guitar out of her home in North Oakland. Scroll down to learn more. Briget teaches fun and inspiring voice lessons for singers of beginning to intermediate levels. Her vocal background is in Eastern European folk music, American folk and country music, and musical theatre. Her diverse experience can help singers of all genres improve through reconnecting to breath, expanding range, working on repertoire, and unleashing vocal potential. Do you have a singing group that could use some fine tuning? Or just friends that that you love singing with? You can now take a group lesson with Briget! She will spend time with each singer, masterclass style, helping with vocal production, blend, whatever else needs some attention. Have you wanted to learn how to play that guitar that has been sitting in the closet for all those years? Briget is the perfect teacher to show you the basics of your instrument. 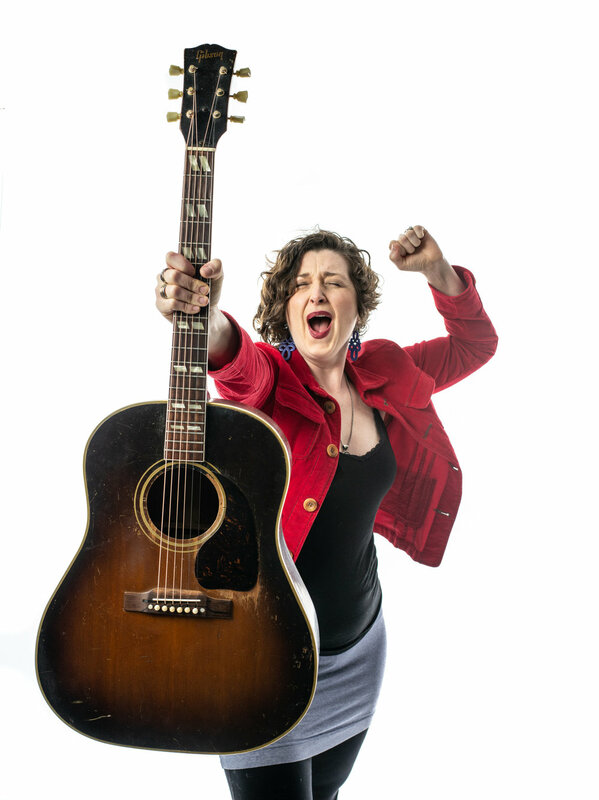 She focuses on helping you build a strong foundation for your guitar journey. The most important work is done at the beginning, and Briget will help you start off on the right foot.